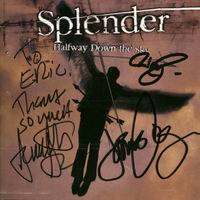 Much like with the Watchmen, after seeing Splender at Edgefest and buying the CD, we got to see them in a tiny club in Rochester. This was a charity show as well; we brought a couple cans of soup for the food bank. Local ska-ish band 5head was on first, and they put on an energetic set. A good primer for the night. Splender came out and played a great show, played just about everything off of Halfway Down The Sky, and presumably sounded good doing it. I say presumably, because this was the wrong show to forget wearing earplugs to. They were way, way, way too loud. We could barely hear Waymon Boone’s vocals over the guitars. Otherwise it was great time, and we even got to meet the band after the show. They came out, I got the CD signed, and one of the guys in the band remarked “I saw you singing everything, even ‘Cigarette’!! No one knows that song!”. So that was a nice little ego trip to cap off the night haha.